Here at Access Counselling Clinic we provide specialist Stress Management Counselling. We often run courses for Stress Management so send us an enquiry if you are interested in our next course or in an individual session with one of our stress management counsellors. 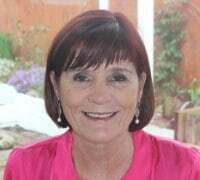 Helen Dunne, MIACP, MWGII, Dip Counselling, Dip Addiction Studies, Dip Clinical Hypnotherapy, Reality Therapy/Choice Theory, Reiki Master, Capacitar Trainer, Clinic Hypnotherapist, Anger Chakra Therapist, Arricular Acupuncturist. Helen is a family counsellor with over 14 years experience, and is highly experienced in all areas, including relationships, family therapy, anger management, stress management, anxiety, depression, sexual abuse and many other issues. In collaboration with Access Counselling Clinic Service, Helen will facilitate the one-day course. The course will focus on learning how to equip the participant in recognising the many different causes of stress and anxiety, how they are stressing themselves, and learn practical and effective techniques to assist in coping with these issues including relaxation techniques. The course will be held at, 353 Crumlin Road, Dublin 12 f. Having successfully completed the one day course, participants will receive a certificate entitled, Introductory to Stress Awareness and Stress Management with CPD points equivalent to 6 hours. The cost for the course is €100.00 and a deposit of €30.00 is required in advance to secure your place. We accept laser, credit card, cheques, postal orders and cash. Tea, Coffee and biscuits are included are included in the price. Please contact Beth or Andy at ACCESS Counselling Service to confirm your booking. The course is limited to 8 places so please book early to avoid disappointment. You can contact us by sending an email to info@accesscounselling.ie or phone at: 01/5240708 or 0851391846.